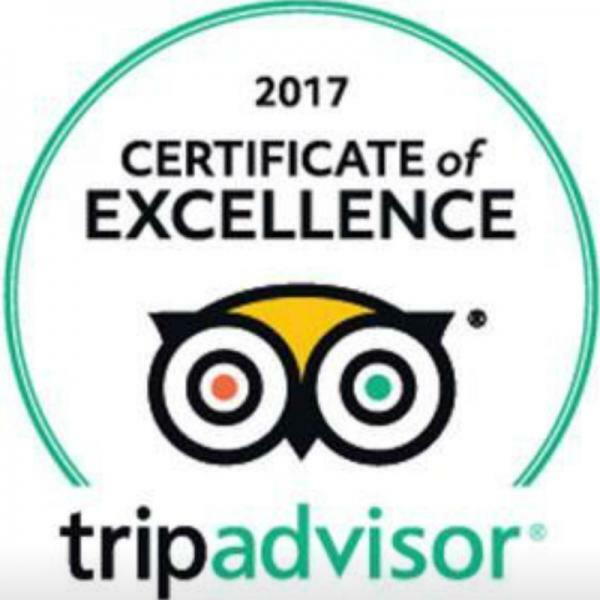 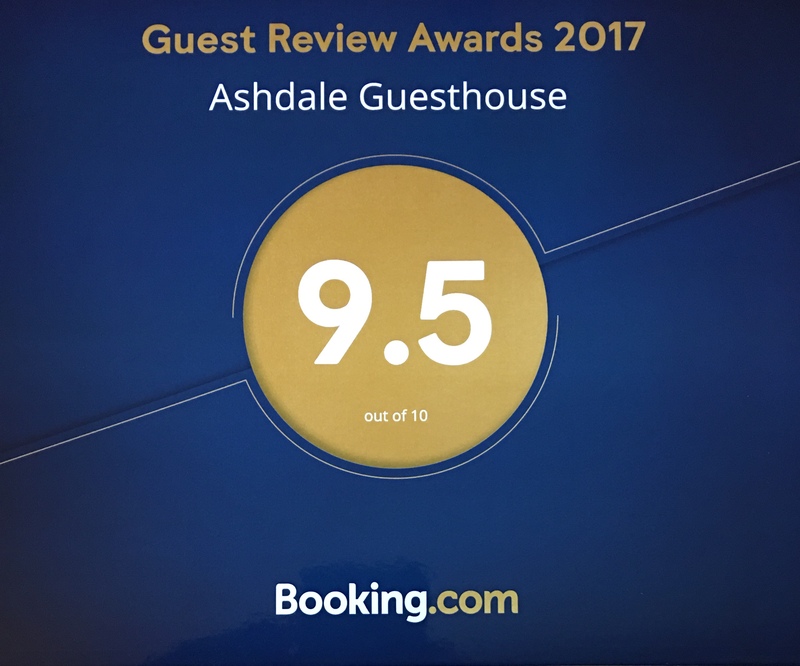 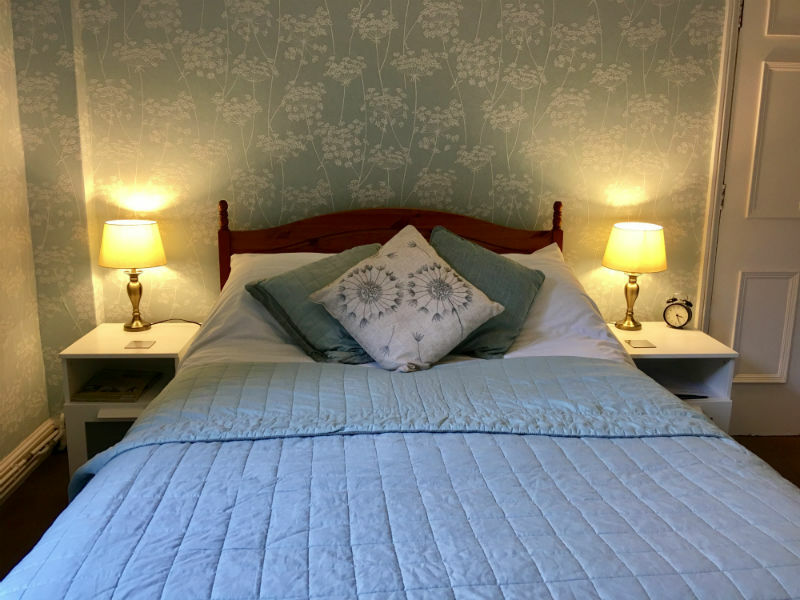 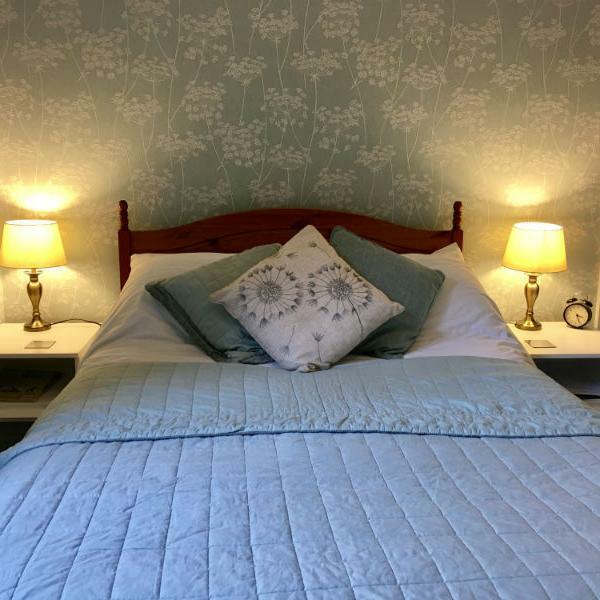 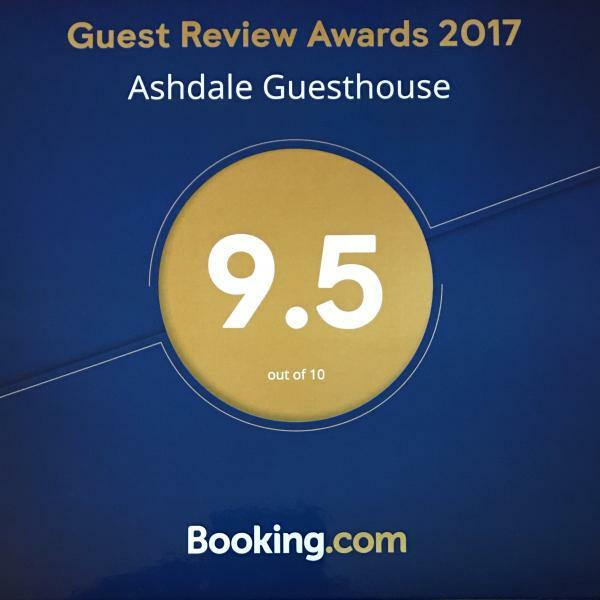 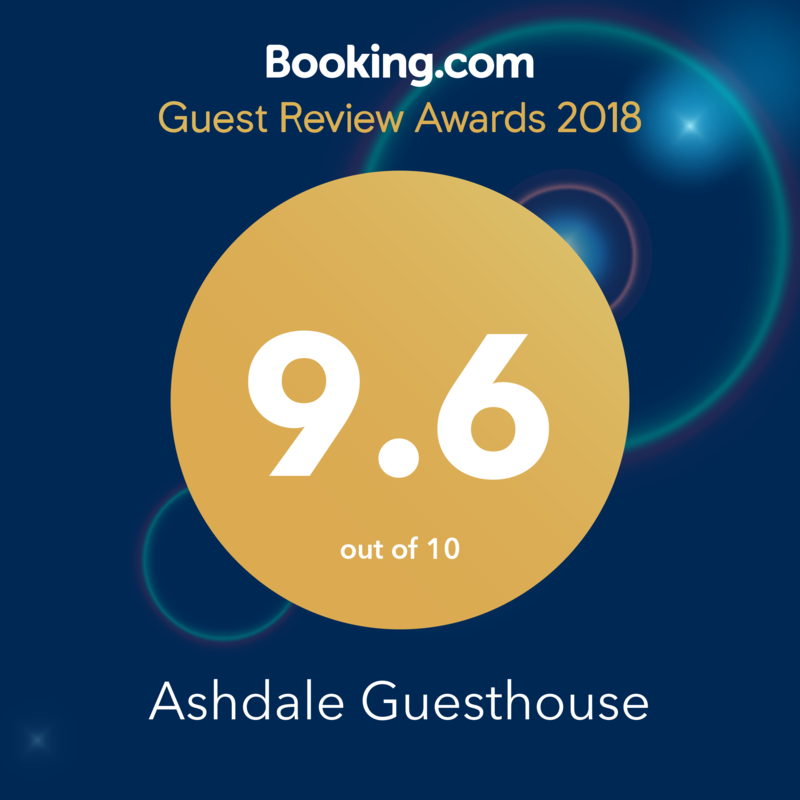 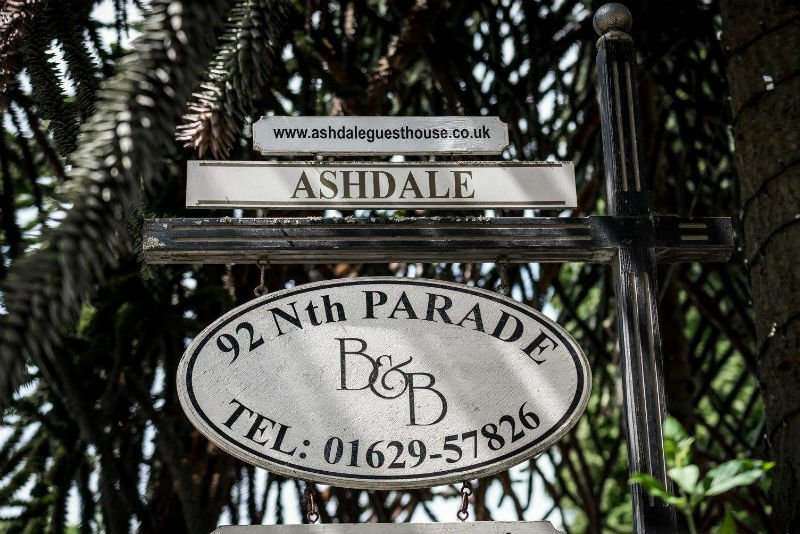 Shaun & Paula look forward to welcoming you to Ashdale Guest house, a friendly and comfortable B&B, ideally situated for exploring the Peak District and it's many attractions or just to relax in this wonderful part of the world. Whilst you stay with us, we can offer you a large variety of choices from the self service food bar like Cereals, Grapefruit, fresh fruit and yogurt, whilst we cook you a hot breakfast of your choice, using produce that wherever possible is locally sourced, with free-range eggs and award winning sausage and black pudding. 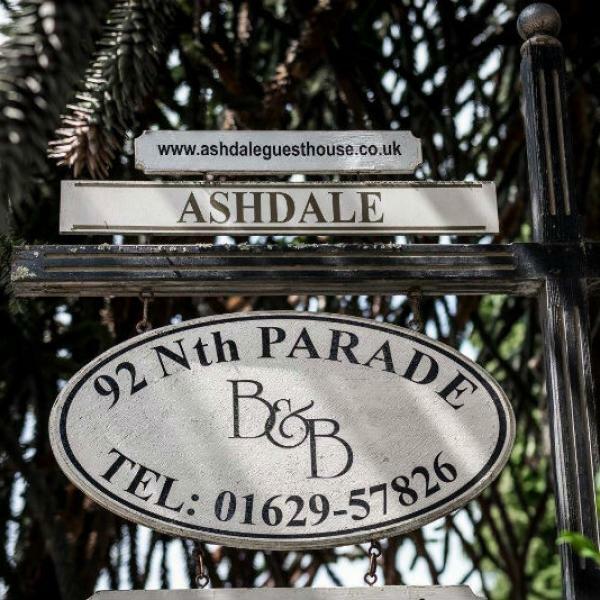 Ashdale Guesthouse was built in 1847. 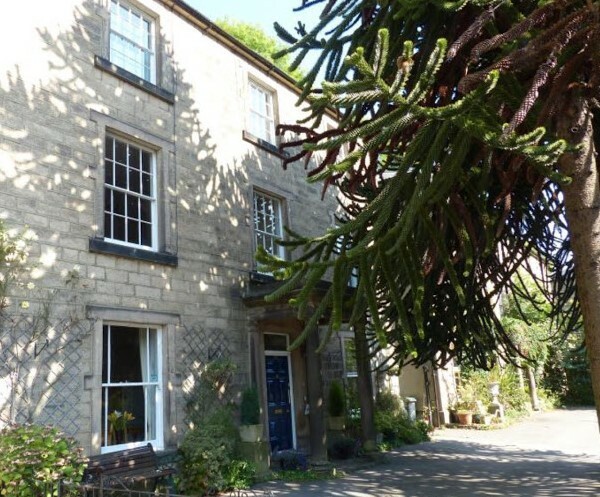 It is a Grade two listed early Victorian building, built in the Georgian style. 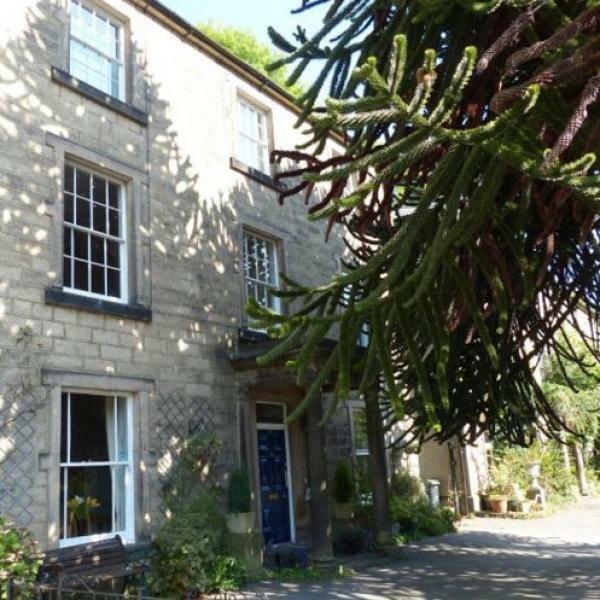 It is one of a row of four properties that were originally known as ‘Fountain Villas’. 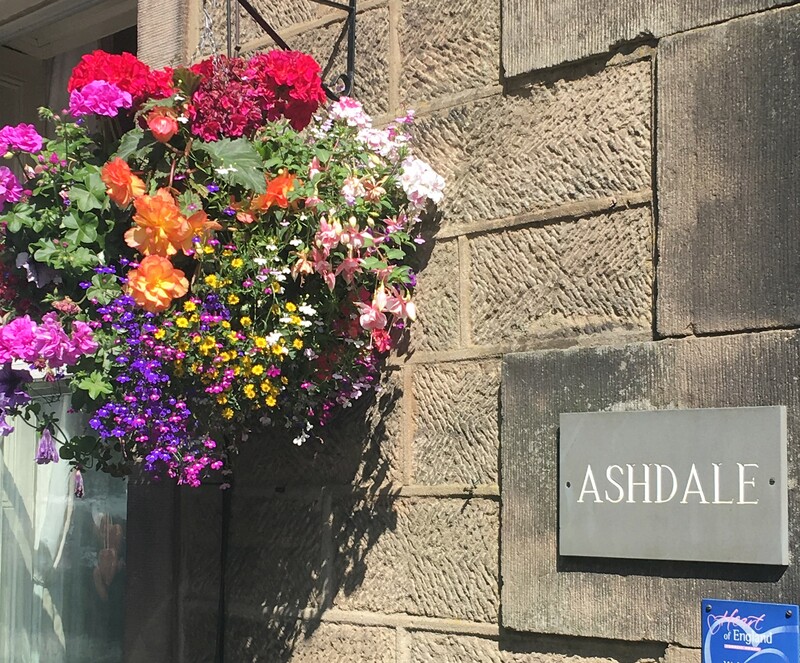 If you look carefully at the front corner stones of Ashdale you can still see the name. 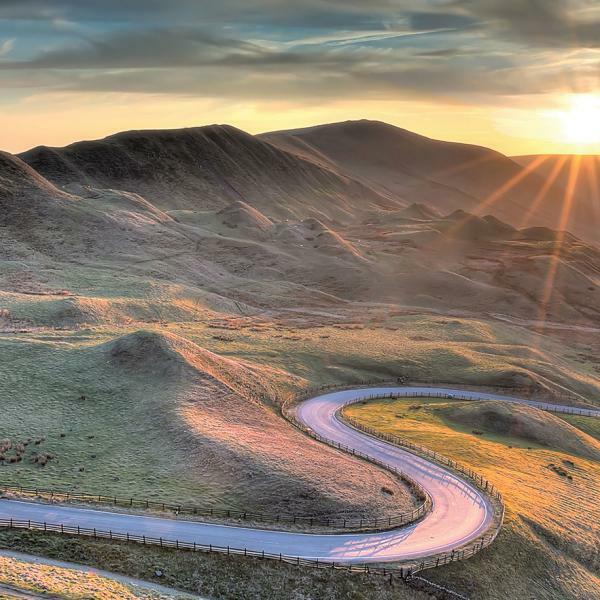 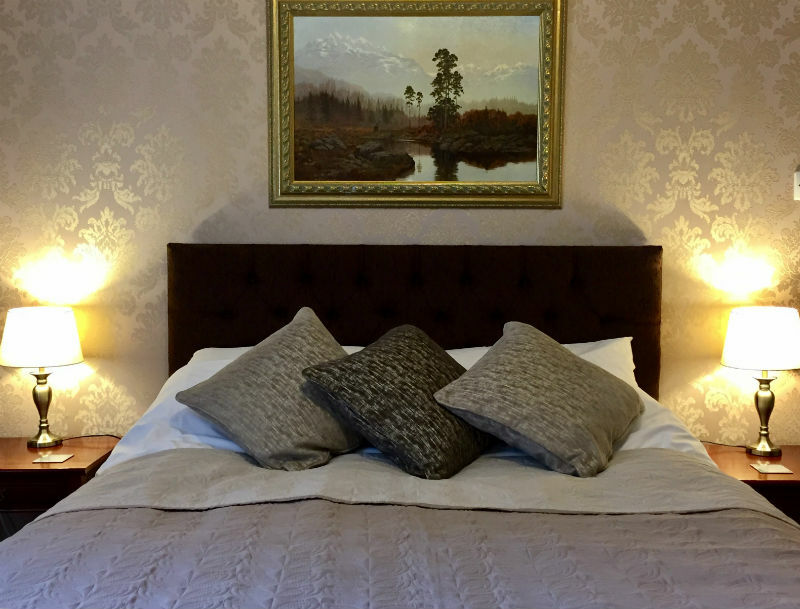 Early pictures of Ashdale can be seen locally in the gallery at the near by Aquarium building and in the Peak District Mining Museum located in the Pavillion building. 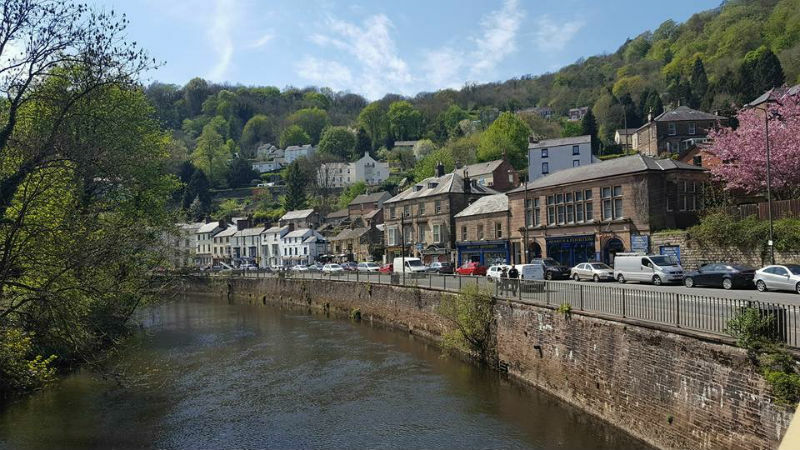 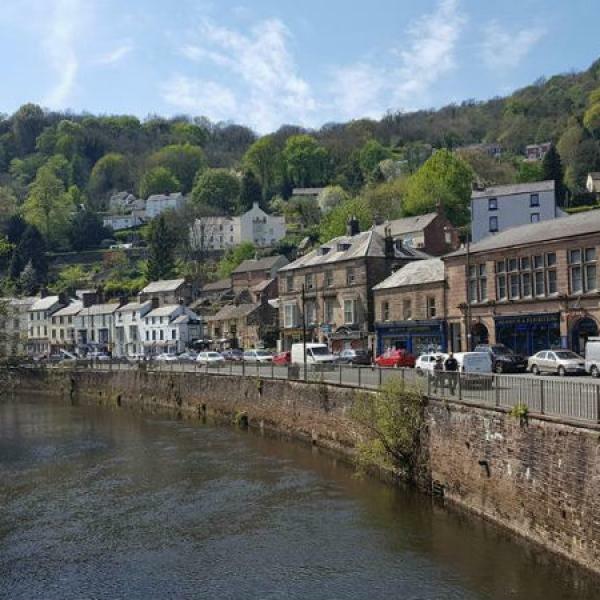 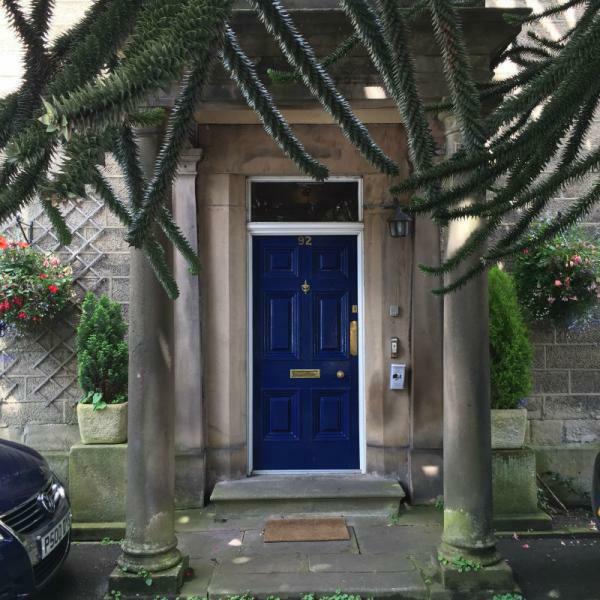 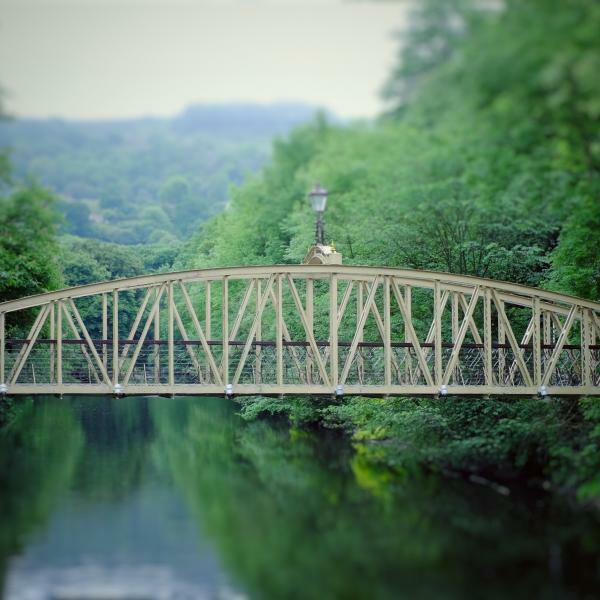 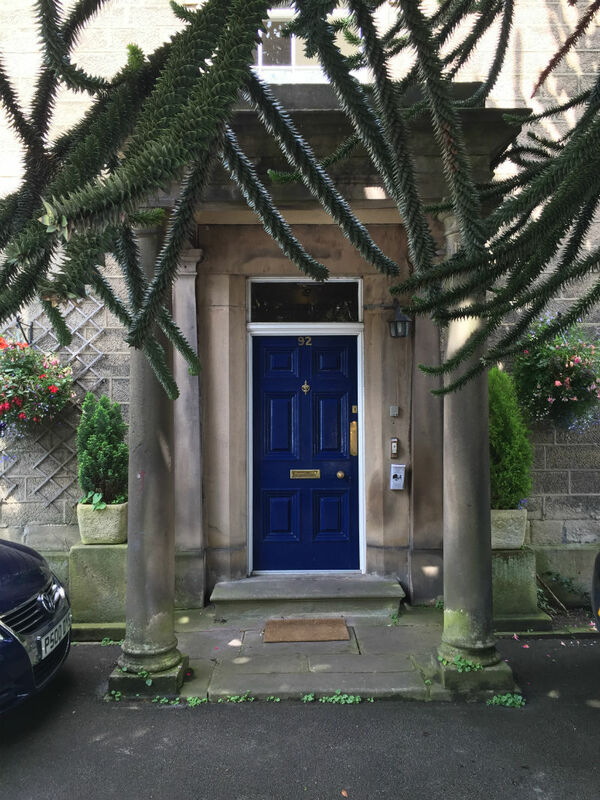 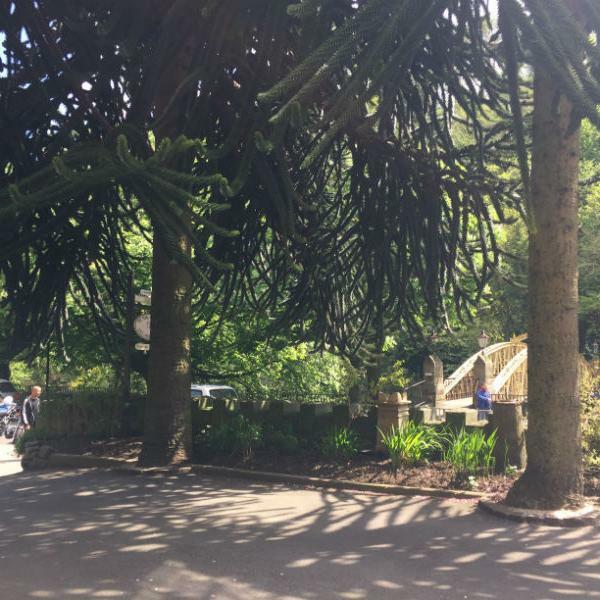 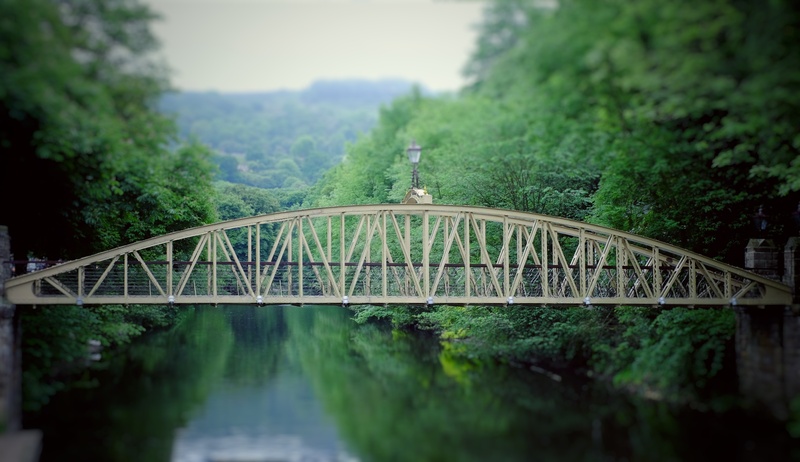 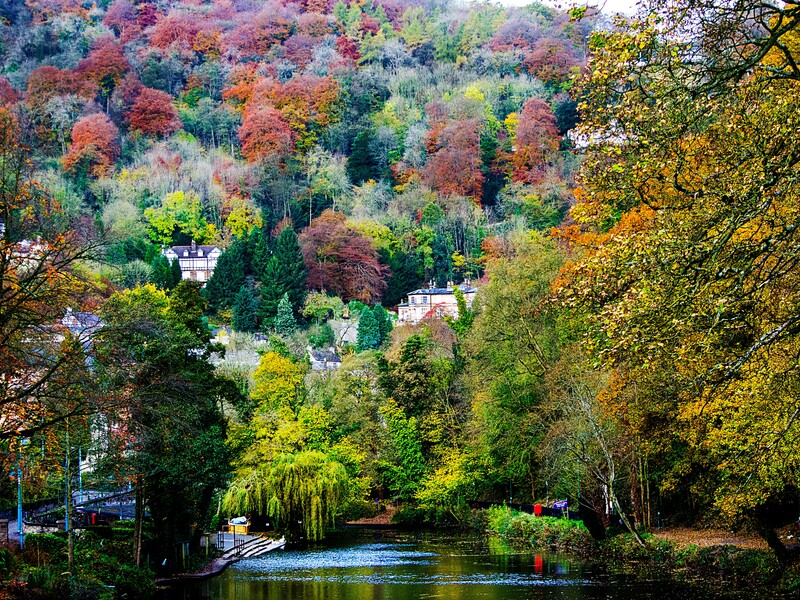 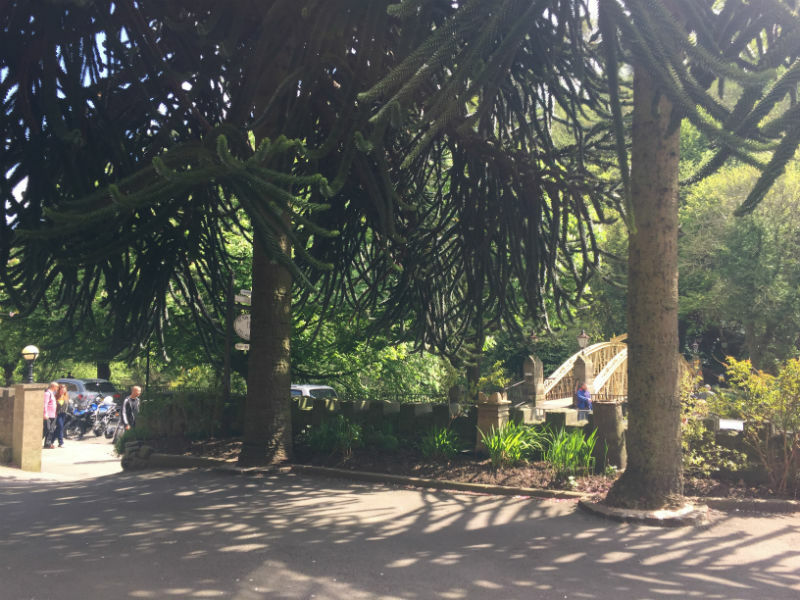 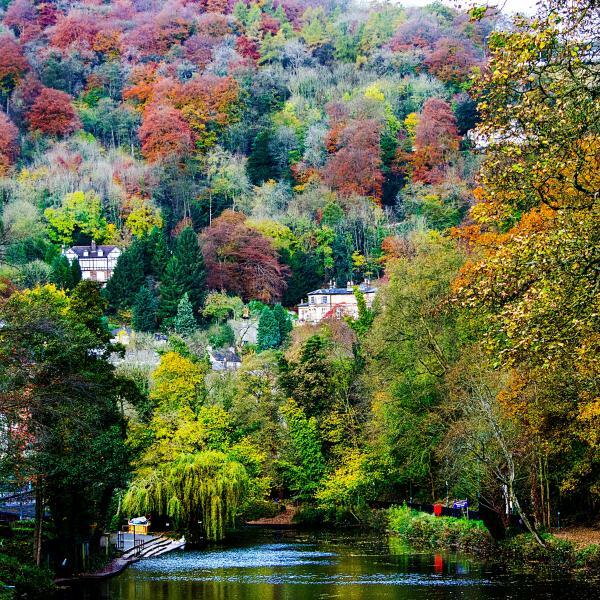 We are located directly at the heart of Matlock Bath, opposite the Jubilee Bridge that goes over the river Derwent and are known locally as the house with the giant Monkey Puzzle trees in the front garden. 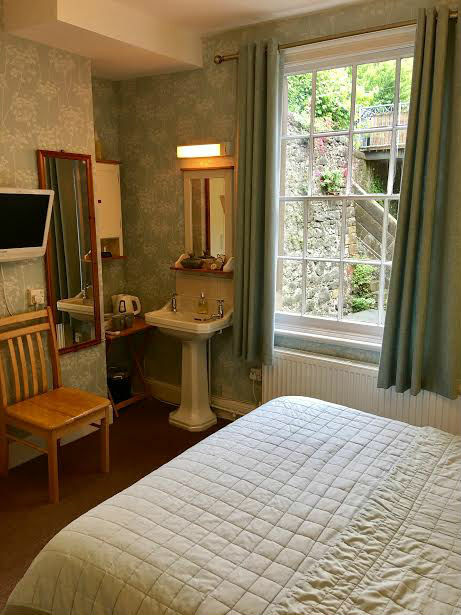 This is a room on the ground floor and has a 5’ King Size bed and an additional single bed. 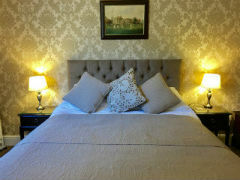 There is also a large TV and DVD player, and tea & coffee making facilities in it. 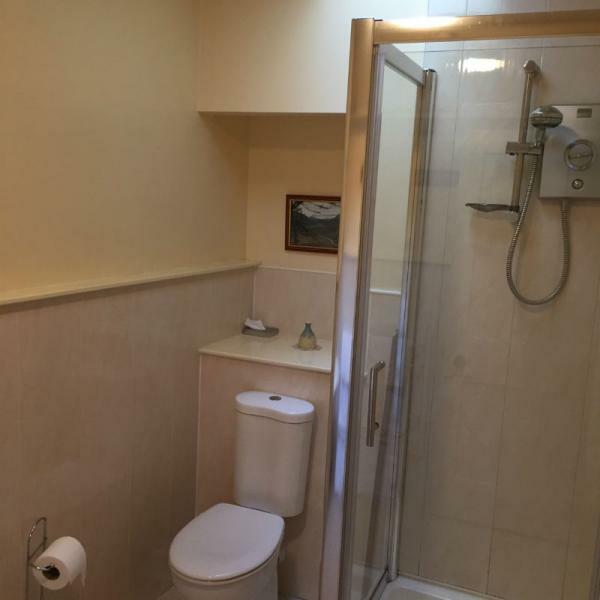 This room also has an ensuite bathroom with a shower toilet & wash basin. 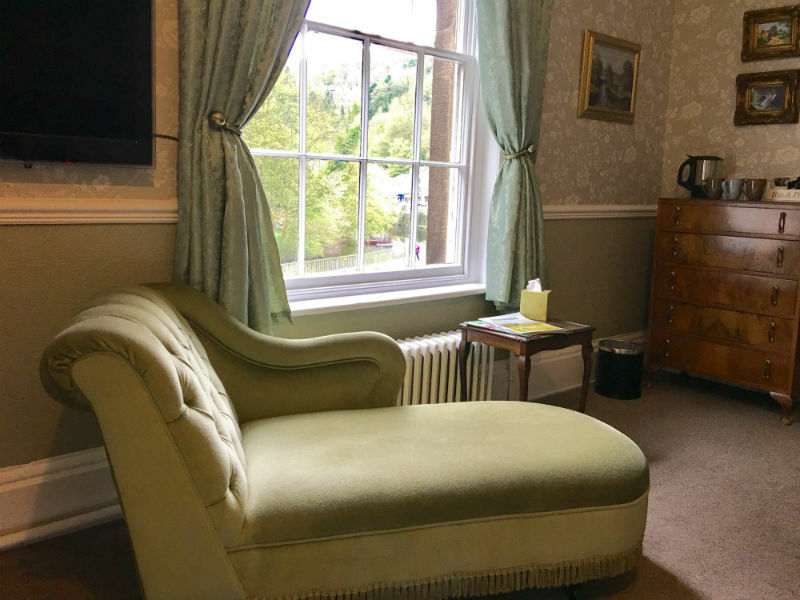 This room also has its own access to our rear court yard and is situated at the rear of the building with views of the court yard. 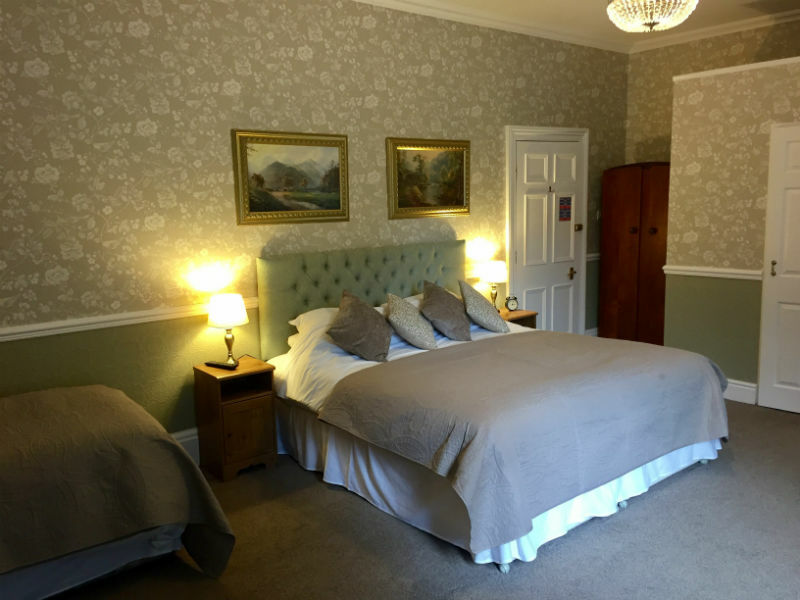 This room is ideal for couples or up to three guests. 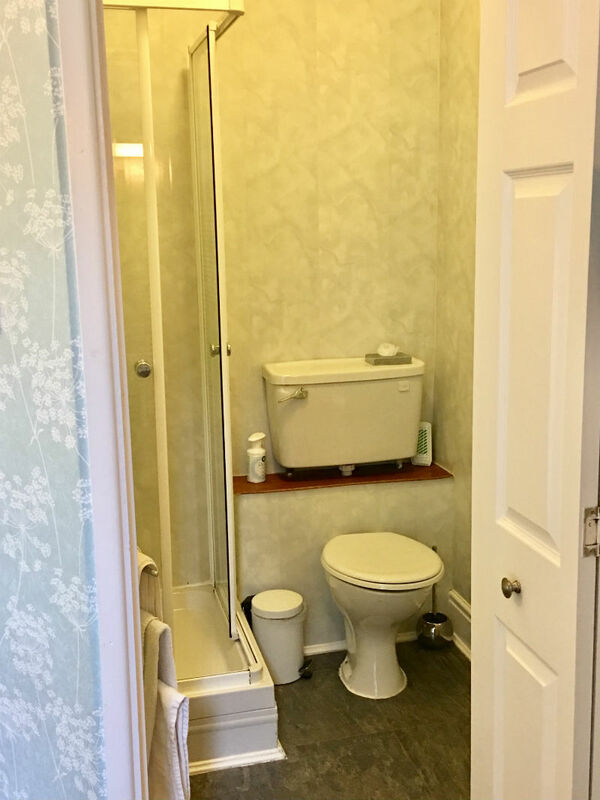 Due to the access it is also suitable for guests with less mobility or for guests that may wish to bring a small dog with them. 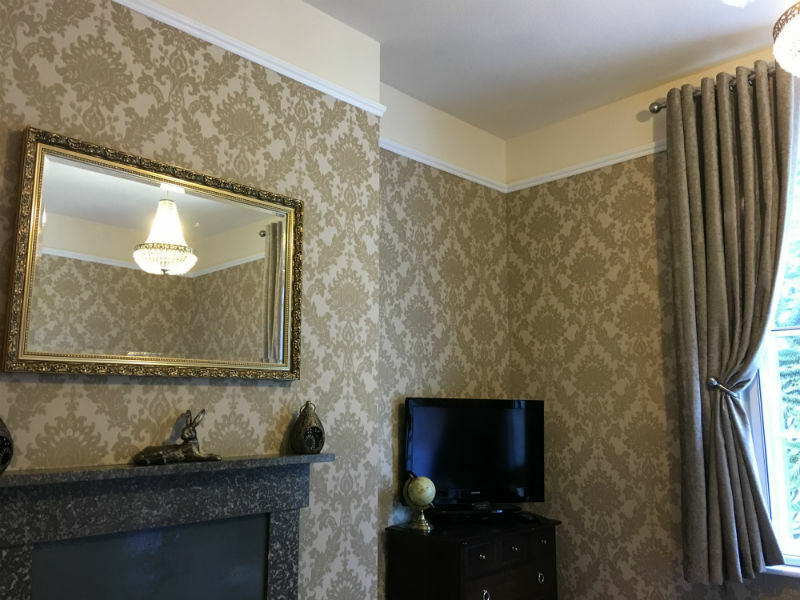 (Subject to prior request). 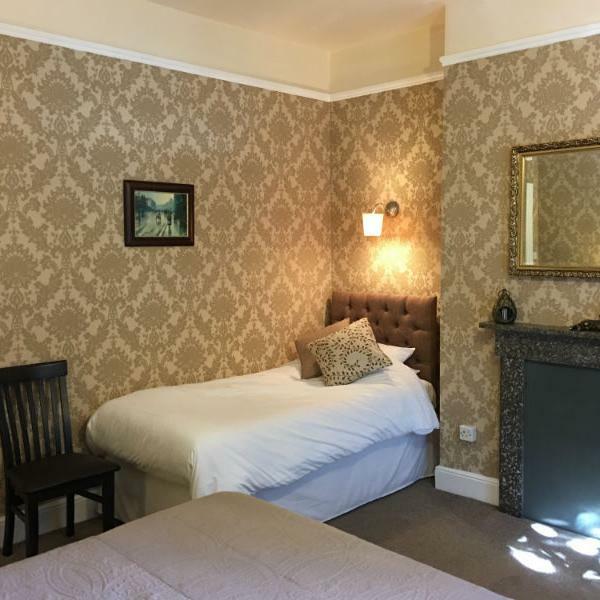 This is a large room, with a feature fireplace and a 5’ King Size bed and an additional single bed. 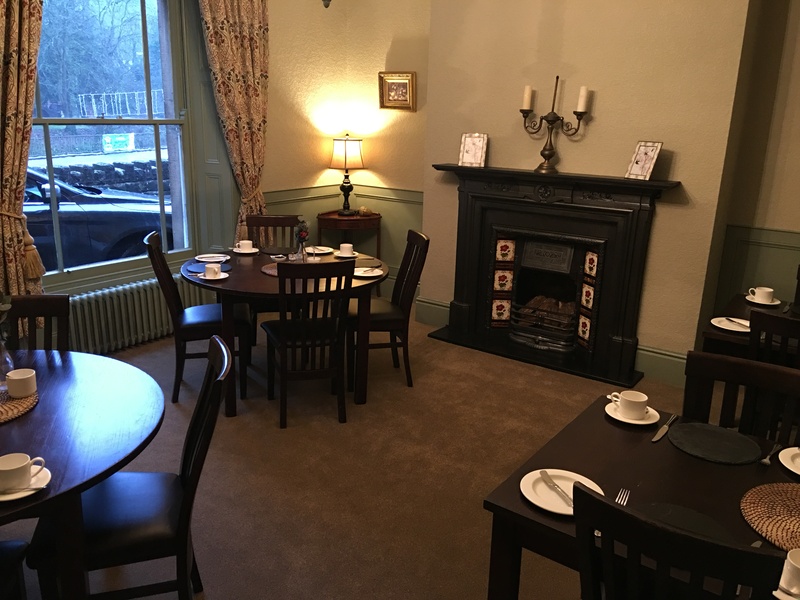 There is also a large TV and DVD player, and tea & coffee making facilities in it. 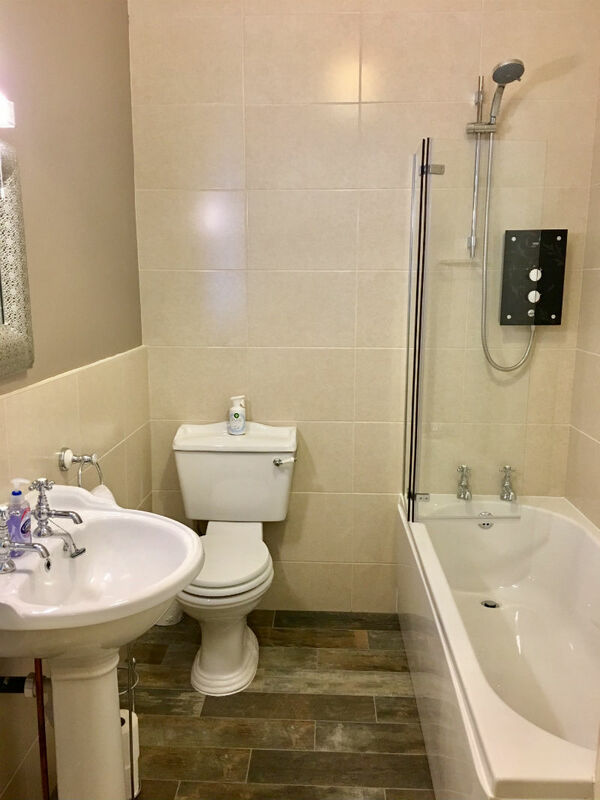 For extra privacy, this room also has a separate bathroom in it, that has been completely refurbished to a high standard. 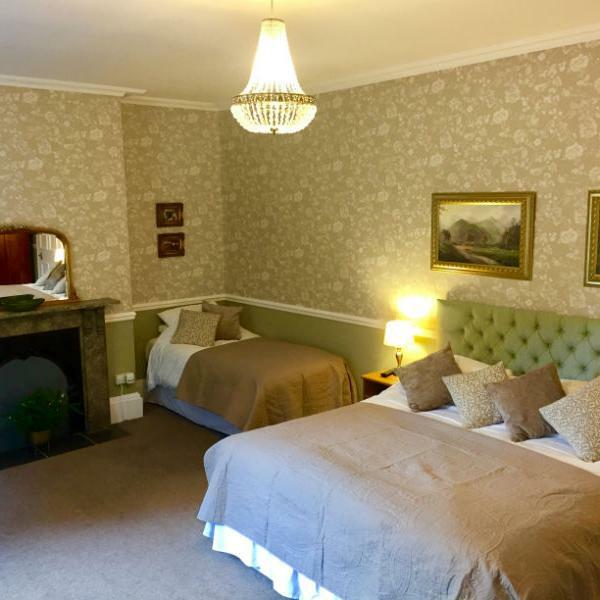 This room is situated on the first floor at the front of the building with views of the Derwent river and along Matlock Bath’s North Parade. 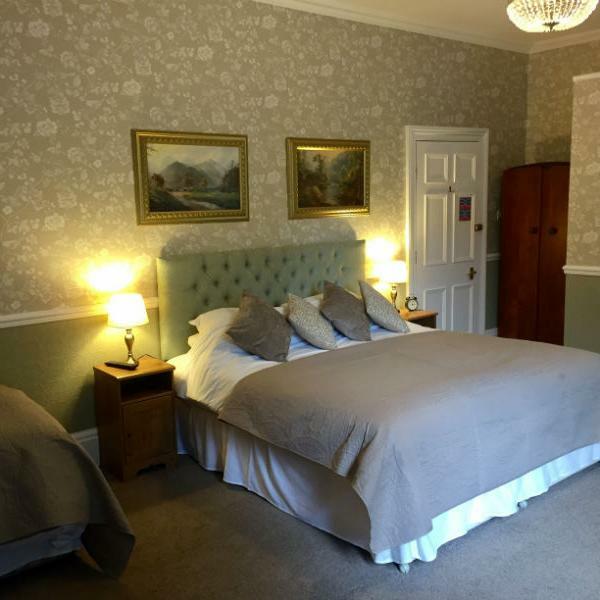 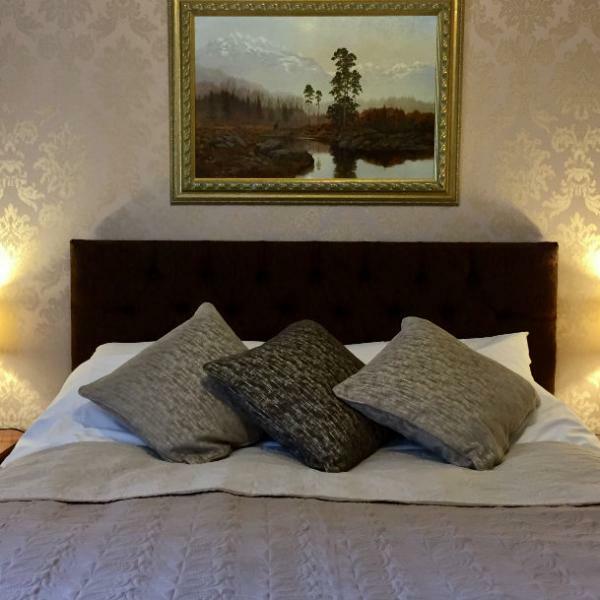 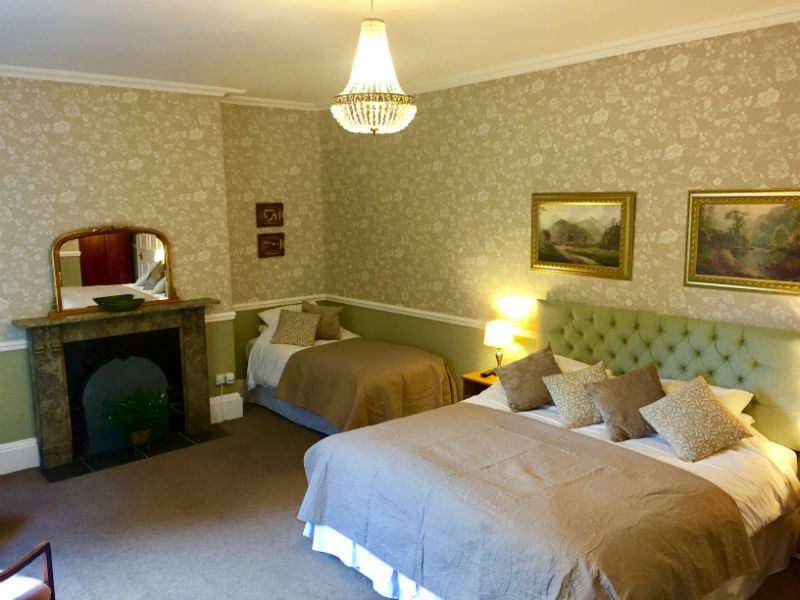 This room is ideal for couples or families and although slightly smaller than the Matlock room, an additional bed may be added by prior arrangement so as to accommodate a family of four. This room is our largest room and has a feature fireplace and a super king size 6’ bed, and a single bed. 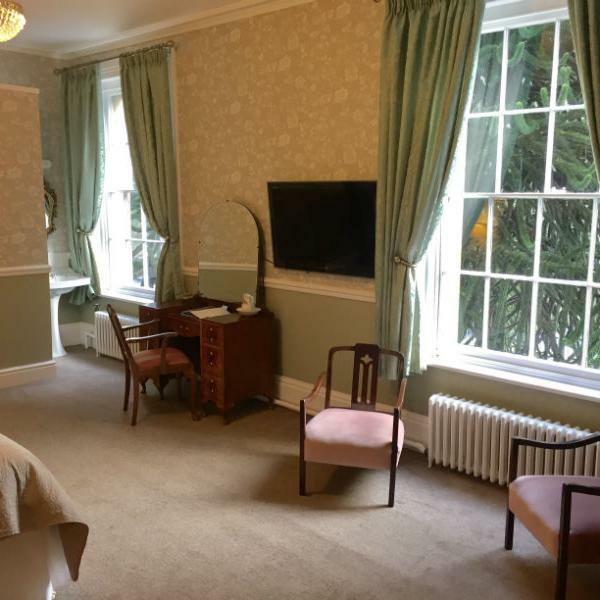 There is also a large TV, and tea & coffee making facilities in it. 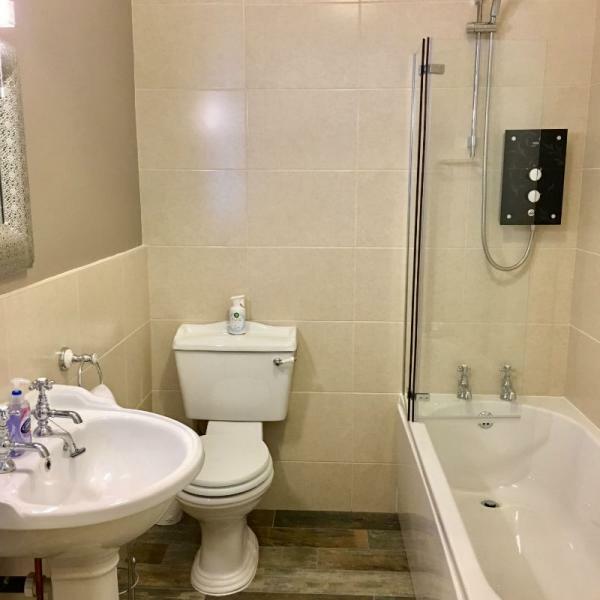 There is also and en-suite, fitted with a toilet and shower cubicle. 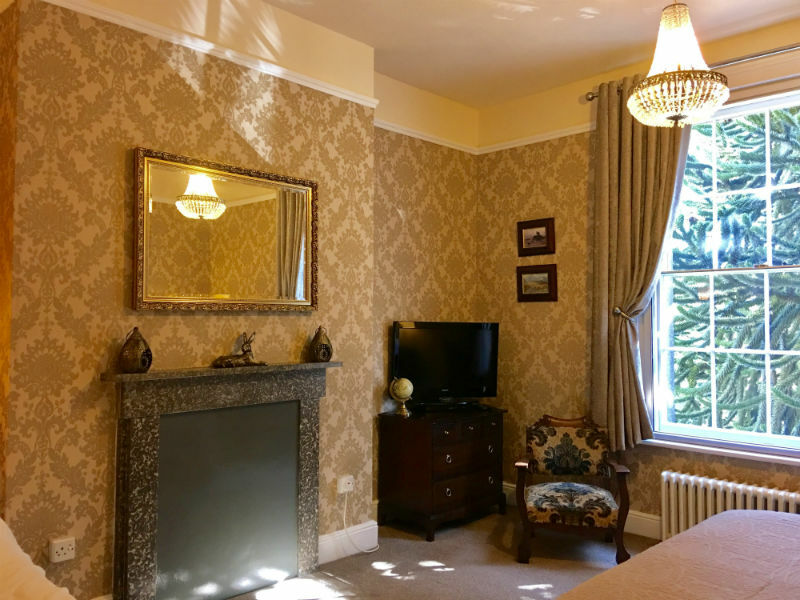 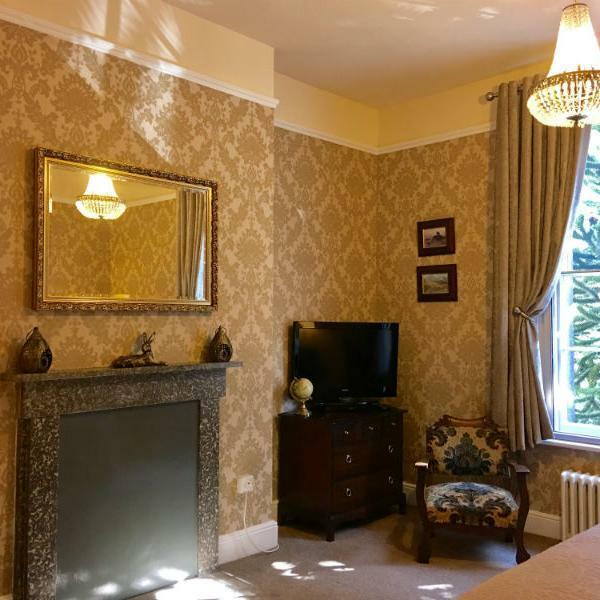 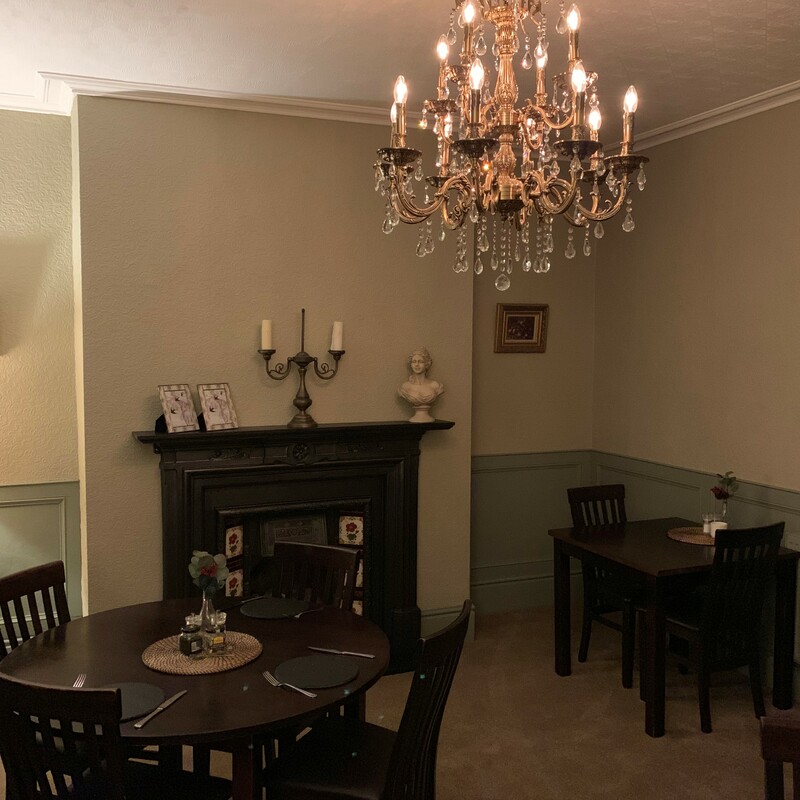 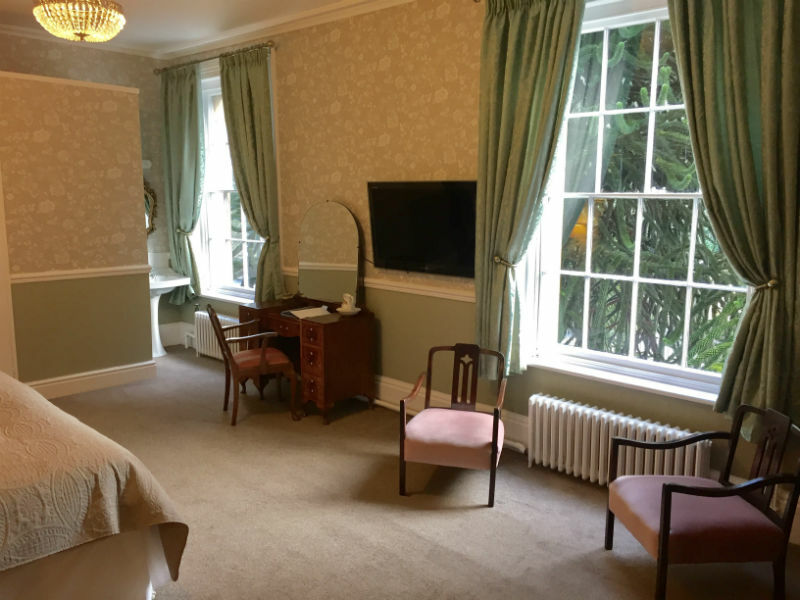 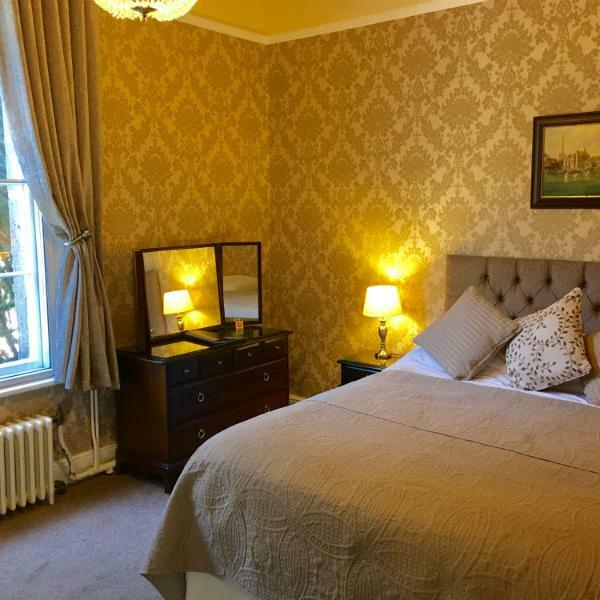 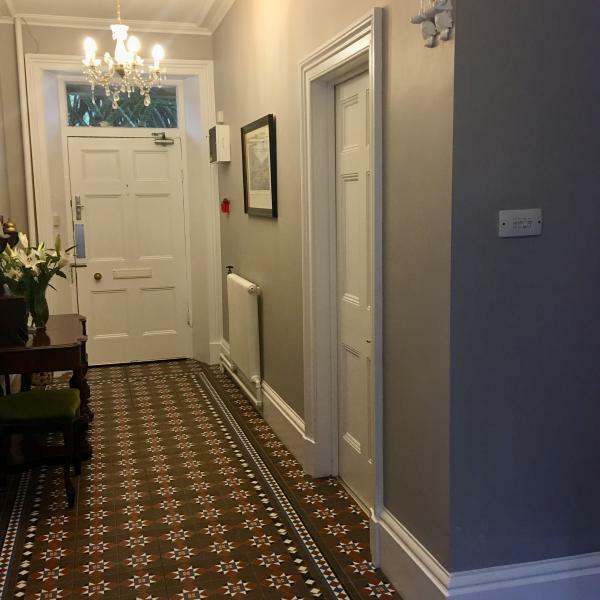 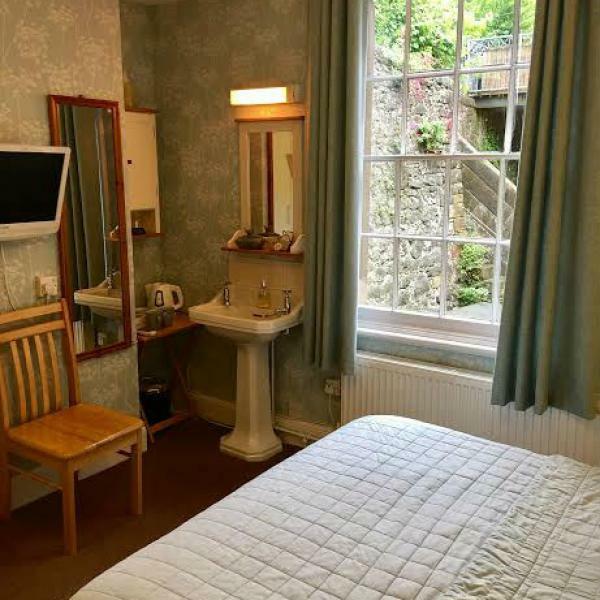 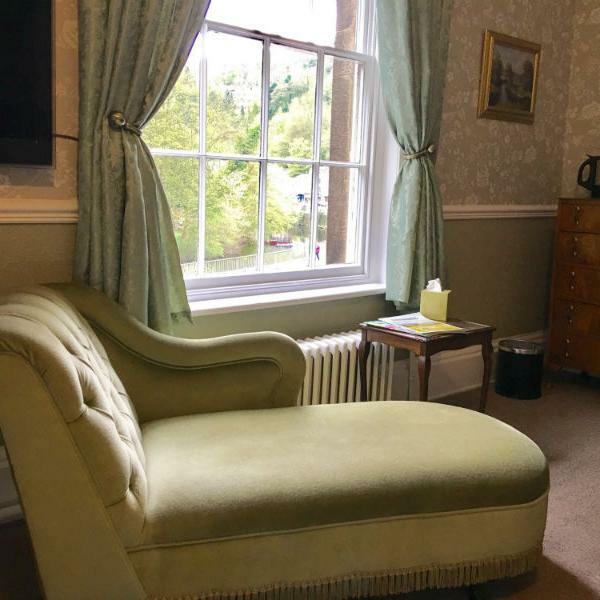 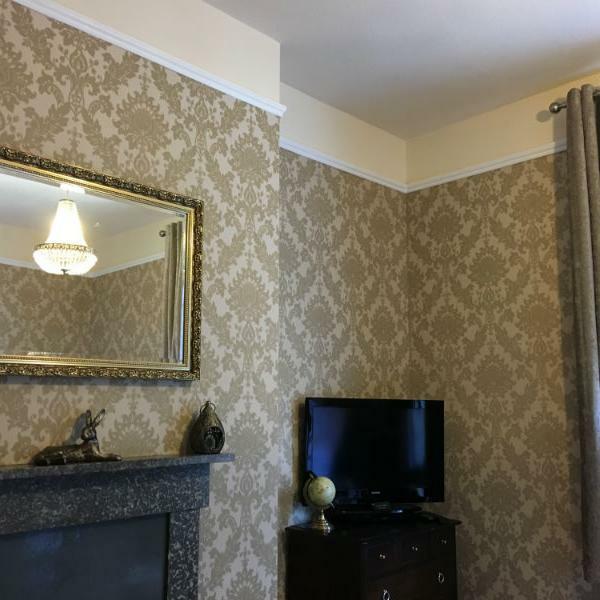 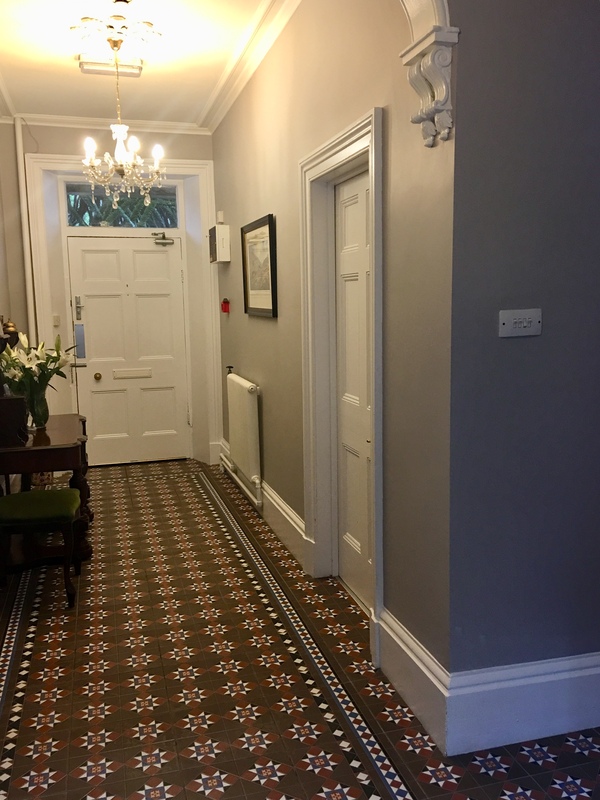 This room is situated on the first floor at the front of the building with views of the Derwent river and along Matlock Bath’s North & South Parade. 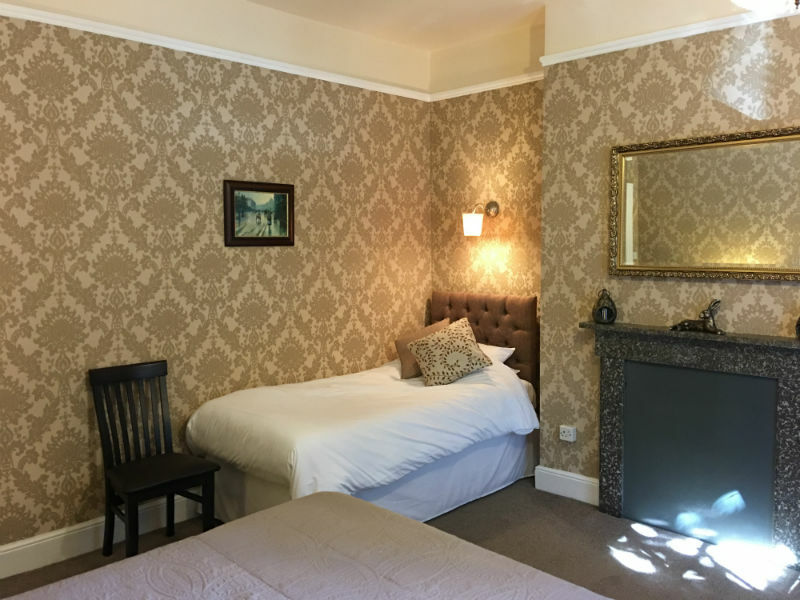 This room is ideal for couples or families and an additional bed may be added by prior arrangement so that it can accommodate a family of four. This room is a double room with a 4’6’’ double bed and has a TV & DVD player plus tea & coffee making facilities in it. 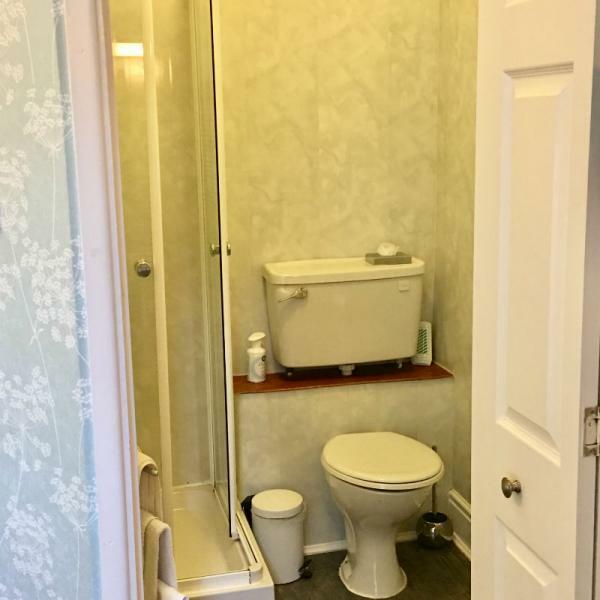 There is also and en-suite, fitted with a toilet and shower cubicle. 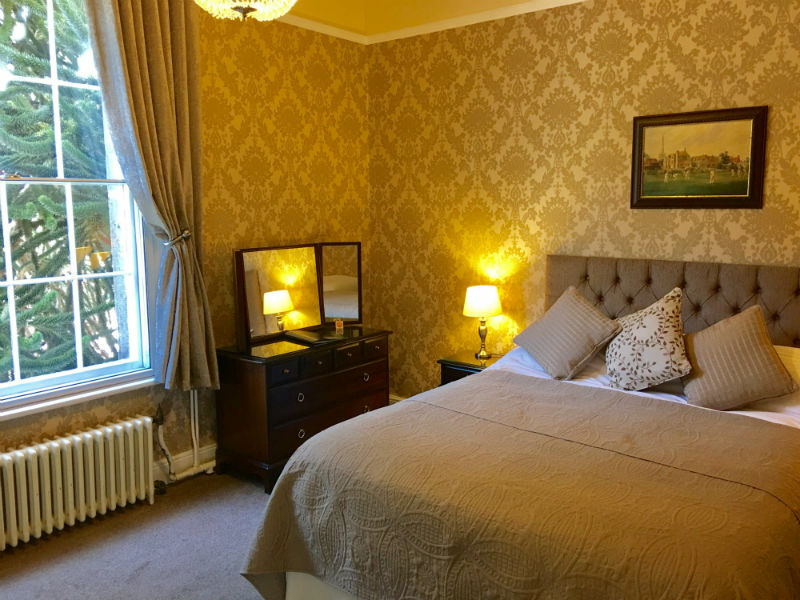 This room is situated on the first floor overlooking our enclosed rear yard. 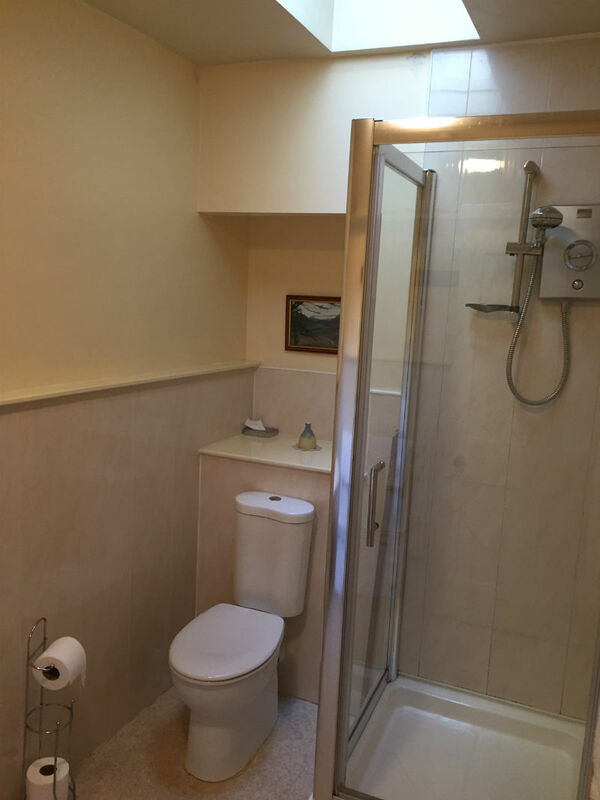 This is ideal for the single traveler or a couple.